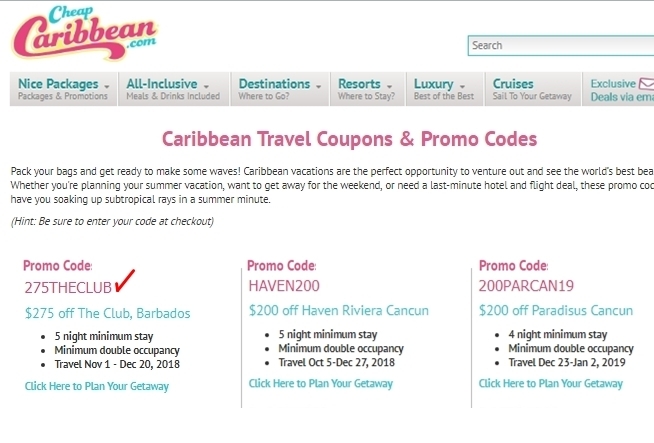 Allen Miller $275 Off the Club Barbados Resort & Spa at Cheap Caribbean. Tested this promo code and verified that it works as described. Use promotional code 275THECLUB. 5 night minimum stay. Minimum double occupanc.